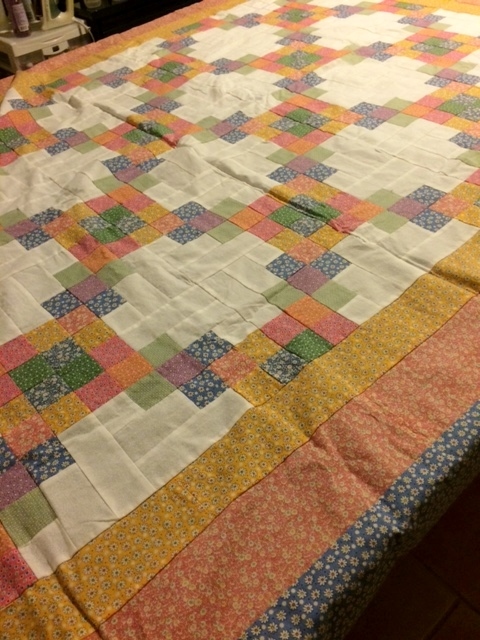 Like many quilters out there, I'm sure you can understand how it feels to finish a bazillion quilt tops, yet you never seem to find the time (or the desire) to finish those quilts. 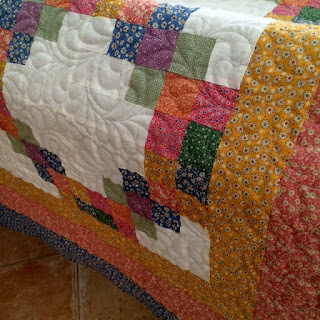 Over a decade ago, I made a beautiful quilt top for my daughter, Brianna, out of the depression era replica fabrics. 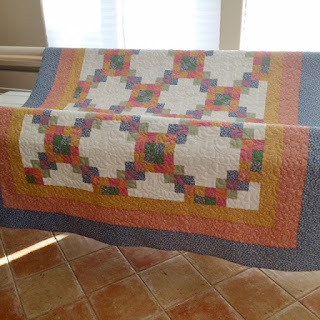 Somehow, time got away from me...and all of these years later, the quilt top was still being lovingly stored for "when" I had enough time to complete it. 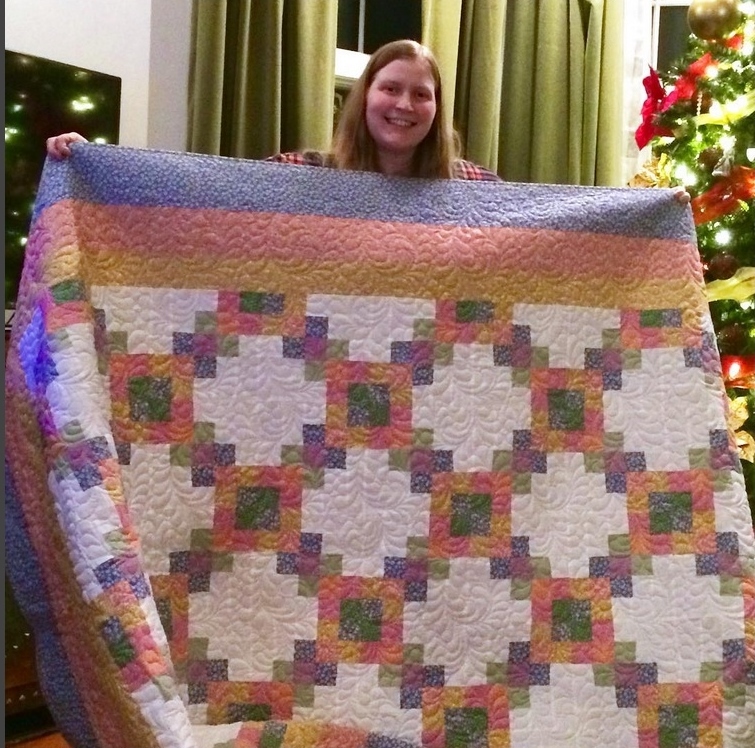 Brianna and her Christmas gift (2015) - her quilt which took over a decade in the making. Well, the time finally came around at Christmas time. I decided that by hook or by crook, my daughter was going to get her quilt. But, of course, I didn't have time to complete it by Christmas. I searched online for longarm quilting services in my area, and came across Raija of Quilters Treasure Chest. And, boy, was I glad I did. Raija was wonderful in every sense of the word. 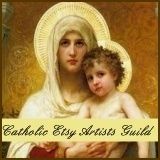 She is not only friendly and helpful, but she catered to my request to have a rush placed on the completion of my item in order to have it completed in time for Christmas. When I had my appointment with her, she was very thorough in explaining her process in addition to ensuring I was happy with the quilting pattern I had selected for my quilt. Raija - who hails from Finland -- provides longarm quilting from her home studio in Rogers, Arkansas. (Her services extend beyond our lovely state - so don't let distance prevent you from seeking her services if you need them. She has customers all over the world!) Many of her own beautiful quilts utilize fabrics from well-known companies such as Timeless Treasures and Robert Kaufman; these companies use her quilts to promote their fabric lines. 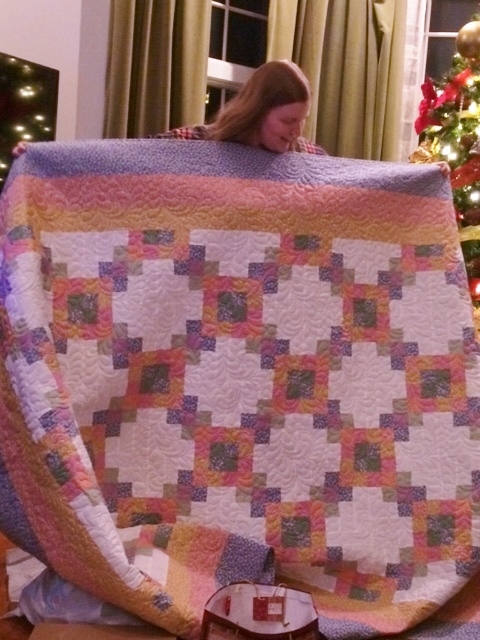 Her quilts have been seen in Keepsake Quilting and Hancock's of Paducah catalogs, as well as in quilting magazines as part of advertisements for the fabric companies. Last, but certainly not least. Raija has recently started renting her longarm quilting machine to quilters who want to try their hand at performing longarm quilting themselves, or for those who want to see if longarm quilting is for them. I don't often write promotional blog stories about other products and people, but there are exceptions to every rule. Raija is one of those exceptions. I hope you will give her a try when you need longarm quilting services. She is a consummate professional who excels at what she does. I don't think you will regret it. :) Raija can be contacted through her website, Quilter's Treasure Chest; email info@qtcquilting.com; and telephone number (479) 310-6295. 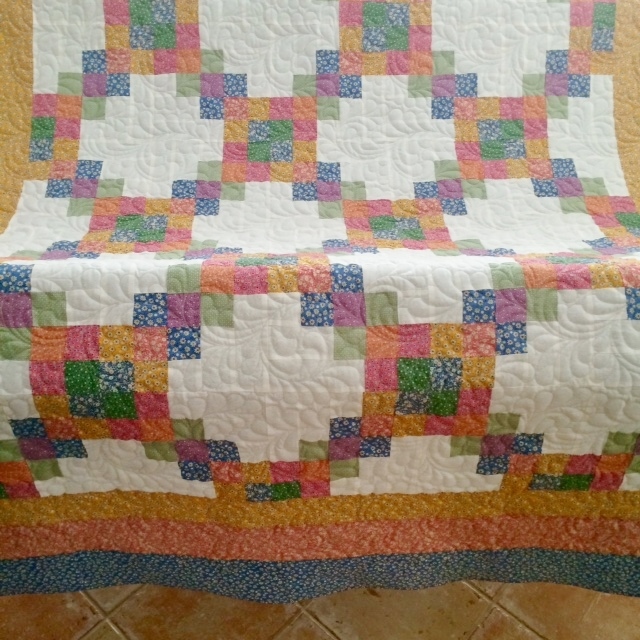 The completed, quilted quilt - in Raija's studio. Detail of quilting - isn't it beautiful? 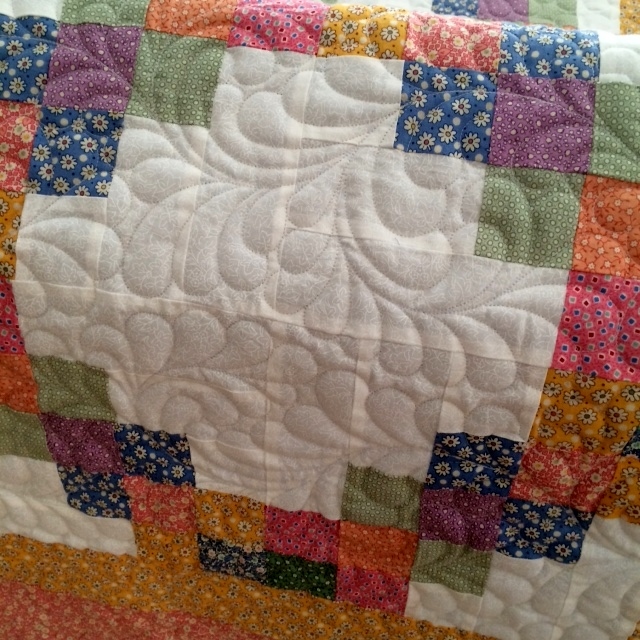 More detail of the quilting. Brianna loves her handmade quilt!